Welcome to one of America's premier historical areas where you can find rest and relaxation. Pack your cameras. No matter the season, you're sure to to make new memories. Enjoy the 200+ acres of Wildlife Refuge behind the inn. Stafford Springs, Connecticut. Known for it's mineral waters. In the earlier years it drew presidents, generals and politicians from all over the country, to bath in these healing waters known by the indians. 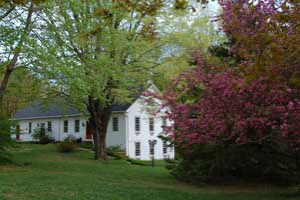 Stafford Springs is known for the first resort in America.